1. A motorcycle taxi used for cheap public transportation in Indonesia, especially in heavily trafficked areas like Jakarta. 2. The inspiration behind the mobile application, GO-JEK. 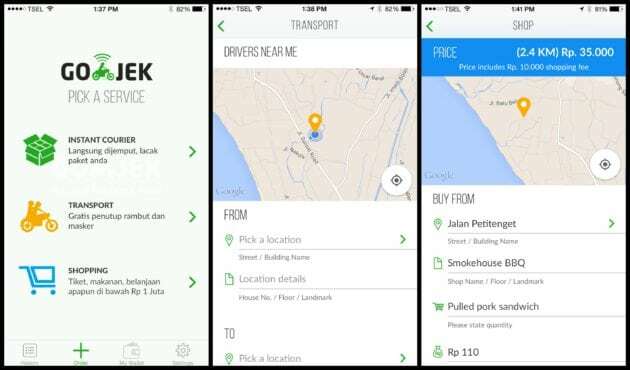 Branded as “an ojek for every need”, Go-Jek is an Indonesian phone application that has combined the concept of the affordable and accessible driver with modern efficiency and communication. We like to think of Go-Jek like Uber but on a motorbike. 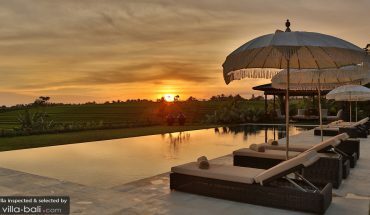 To use it, you download the app on your smartphone (Android or iOS), enter in your desired pick up and drop off locations, and voilà, a driver will arrive at your villa to whisk you away. 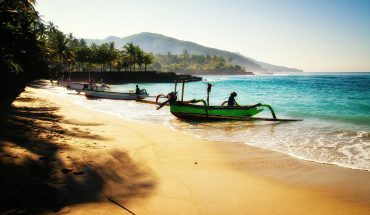 For other means of transportation in Bali, check out our guide here. But that’s not all. Oh no, Go-Jek is so much more than your average shared ride service; this app serves as a shopping, courier, and transportation provider all wrapped into one. It’s practically a jack Go-Jek of all trades! The pricing is transparent so you know exactly how much your order will cost before pressing submit and you can always pay for your ride or delivery by cash. Though Bali is quite a cash based society, you are also given the option to have a bank account or credit card linked to your Go-Jek ID for cashless payments. 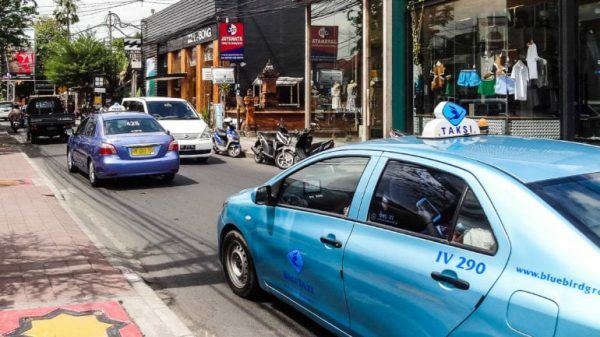 “We think Bali is a good fit for [shared] transport because the main roads are getting increasingly congested,” said Nadiem Makarim, founder and CEO of Go-Jek. 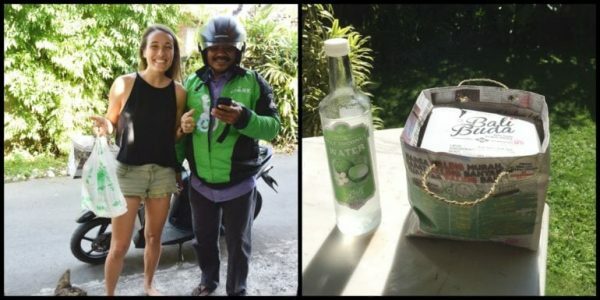 “Motorcycles are the only way to get around quickly [today and] we believe that our Instant Courier service can be very helpful given how spread out Bali is.” With this service, you can essentially get anything you want picked up or purchased from the store and delivered to you directly, wherever you are, and Go-Jek will even pay for it upfront. Apparently, some Go-Jek users have taken the word “anything” a little too literally. “One time in Jakarta, we had someone deliver a Python snake without informing us beforehand. The driver was so nervous, but he didn’t want to disappoint the customer so he delivered it [anyway],” Makarim recalls. After hearing this story, I decided I needed to try Go-Jek out myself by getting the craziest (and by craziest, I mean most delicious) thing delivered to my doorstep: onion bagels and coconut water from Bali Buda… fresh cream cheese and everything. Is this real life?! To me, there’s nothing more satisfying than testing what new levels of laziness can be reached on a Sunday morning. Once I had installed the app on my phone, I was prompted to register my name, email address and cell phone number before continuing on to the home page. Easy. Step one done and I’m one step closer to my bagel. Next, I am given three options: do I want a Go-Jek for ‘Instant Courier’, ‘Transport’ or ‘Shopping’? I usually categorize breakfast under an ‘Eating’ category, but in this case, I go with ‘Shopping’ and move on. Then the app asks me to fill in the ‘From’ and ‘To’ addresses, what I would like purchased from the store and what I estimate the cost to be. I’m not positive of the exact cost of each food item, but I figure it’s best to round up in my guesstimation, so I enter in the Rupiah price, click order and hear my belly grumble in anticipation. And just like that, a Go-Jek driver named Heru is on his way and will be arriving in 21 minutes. Now, this is where I admit that such door-to-door service in Bali sounded too good to be true. What’s the catch? It should never be this easy to fulfill my wildest dreams (don’t tell me your dreams aren’t this wild). 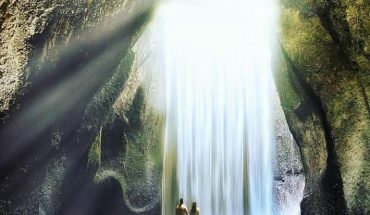 But to my shock some 21 minutes later, I hear Heru’s motorbike pull up to my house brandishing a box of bagels and two cold bottles of coconut water. I almost cried with happiness. In total, I paid the cost of my food plus an additional IDR 35.000 (roughly $3.00) to stay in my villa and have breakfast in bed. Worth it? Absolutely. Finally, when asked what he attributes Go-Jek’s success to, Makarim says that it is the convenience factor in an increasingly busy world. “[Not only] is Go-Jek the fastest door-to-door transport and delivery booking service in Indonesia, but it also has an incredible social impact by empowering our drivers to take orders wherever they are and whenever they want, democratizing the ability to make money for anyone who wants to work harder.” From their mission to their values, we love Go-Jek’s ambition to make positive changes across Indonesia both in terms of road congestion and community support. Welcome to Bali, Go-Jek! can I sand some cloth fron bali to tasikmalay.?? Their drivers are creepy af and need to quit texting me. Go-jek is the topmost ride-sharing app being used in Indonesia. They offer a number of services in one single app and also their delivery services seems flawless. There is a number of startups trying to implement this business model in different regions. Developing these kinds of apps also has become easy.